The European Union’s Brexit negotiators fear they are being bugged by the British secret service after the UK obtained sensitive documents “within hours” of them being presented to a meeting of EU officials last month. A highly placed EU source disclosed the bloc’s security concerns as British negotiators returned to Brussels to resume Brexit negotiations. The two sides remain far apart on key issues of customs arrangements and Ireland, with Latvia’s foreign minister warning yesterday that the risk of a no-deal outcome was “50-50”. 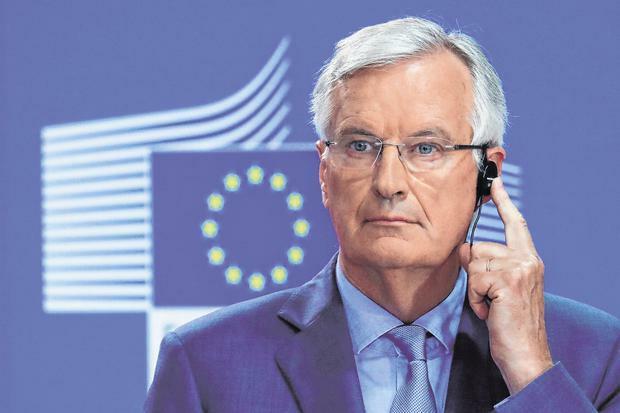 The EU bugging fears were raised at a meeting of the European Council on July 13 by a senior member of the Brexit negotiating team led by Michel Barnier, according to the source. Sabine Weyand, the deputy chief negotiator, told EU officials attending the meeting of the European Council’s Article 50 working party that there was a possibility that British intelligence had penetrated their meetings, the source said. The EU’s fears were spawned after British negotiators obtained the contents of a politically explosive slide presentation almost immediately after they were shared on July 5 – a day before British Prime Minister Theresa May’s Chequers summit where the Cabinet agreed a plan for Brexit to put to Brussels. The slides contained highly negative European Commission economic assessments of British plans to remain in the EU’s “single market for goods”. Within hours, the source said, the UK had lobbied at “the top tier of government” to block EU Commission plans to publish the slides, which would have been widely regarded as a pre-emptive EU strike against the Chequers plan. The source did not elaborate on what the “top tier” meant, but that day Mrs May (inset) was visiting Angela Merkel, the German chancellor, in a hastily arranged meeting at which both leaders agreed that Brexit talks were entering a “crucial phase”. The UK’s efforts to suppress the slides were successful – they have not since been published – but their contents raise serious questions about the political viability of Britain’s Brexit plans. The slides warned that leaving the UK free to diverge on services while promising to remain closely aligned on goods regulations would give the country a damaging competitive advantage over time. The question of how British sources obtained the contents of the slide presentation played into long-held suspicions on the EU side that they were being bugged. EU diplomats say that the 2013 scandal of Barack Obama’s administration bugging the phone of Ms Merkel destroyed any illusions that allies would not bug each other. The European Council has now taken measures to limit the risk of snooping, with a “fierce new secretary” being placed outside the secure Brexit meeting room to collect mobile phones from attendees. The risk of spying appears to be taken seriously by both sides, however, after it emerged last year that David Davis, who was the Brexit secretary at the time, had taken to using a snoop-proof Faraday briefcase and swapped his Apple watch for a Garmin one to avoid anyone hacking its microphone.